Here's my second t batch of reviews of recent purchases I've made and wrote about it here. I'll be reviewing 4 DVDs. They are all from Europe. As in most titles, I already had these films in my collection. I was intrigued in buying them for different reasons, mainly for better, clearer versions of what's already available before or simply to compare 'official' DVDs with the stuff that I already have. Just as a side note, I experienced dreadful service acquiring UOMINI FORTI and THE BLACK DUKE DVDs, from eBay and Amazon. I'm happy with this purchase even if the film transfer of this DVD is slightly less in quality than the spectacular French DVD. 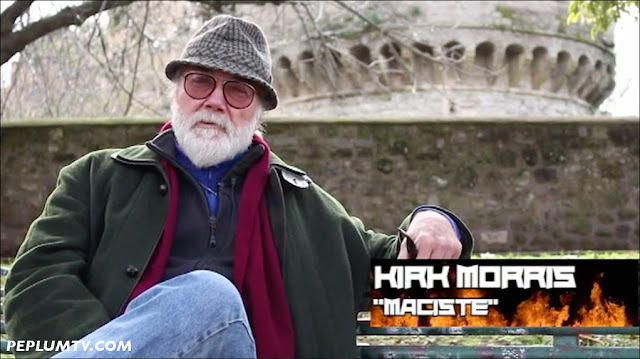 I just need English subtitles for the interview with Kirk. I purchase this mainly to compare with what I already have. The quality of the image is excellent and the running time is the same as the English one (sped up because of the PAL conversion). 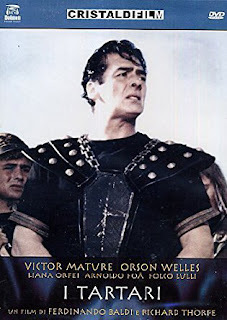 The film stars Hollywood actors Orson Welles and Victor Mature. It also stars a host of familiar PEPLUM actors, such as Liana Orfei, Arnoldo Foà, Luciano Marin and Bella Cortez. The sets are amazing in it and the highlight of this production is the excellent dance number, which starts off with male dancers re-enacting battle movements (above) and continues with the main dancer dancing it up with a female partner. Much higher quality than the standard dance sequences seen in most PEPLUM movies. Now had this DVD included the English track it would have rated much higher but as it is, it's great but not really necessary for my collection. There's another 'official' DVD of this (an older release) and I decided on this newer release. 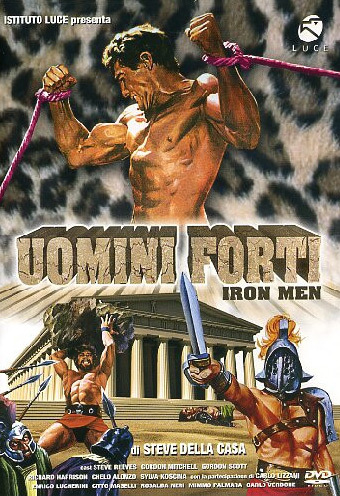 This documentary is supposed to be a documentary on the PEPLUM genre, called IRON MEN. This is really not a documentary but mainly a collection of 'behind-the-scenes' clips from a number of different productions, like THE PHARAOHS' WOMAN and CLEOPATRA'S DAUGHTER, just to name a few (which have no 'Iron Men' in them). 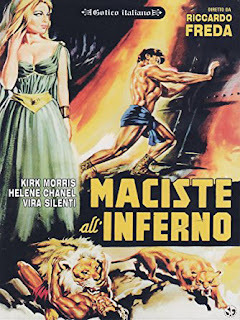 It also includes clips of a buff Steve Reeves in swim trunks doing exercises with a fully dressed Sylva Koscina. 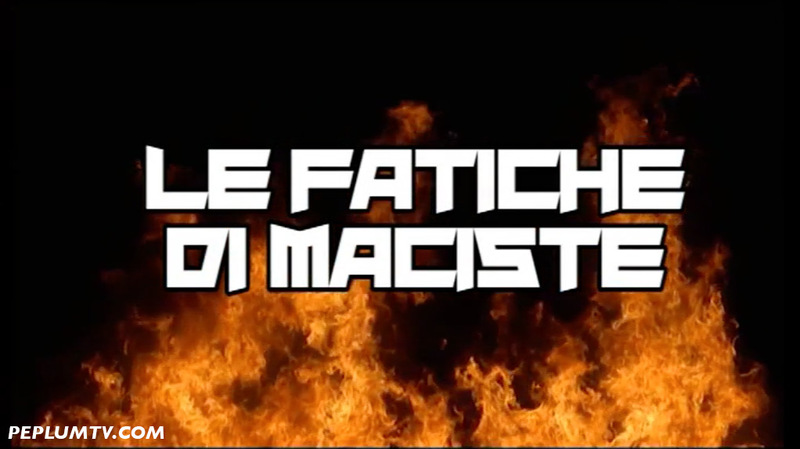 I uploaded clips of this at my DAILYMOTION channel. See below. Do you upload Maciste in hell and the interwiew with kirk on peplum tv? I think you should really give UOMINI FORTI a bit more credit than you do. 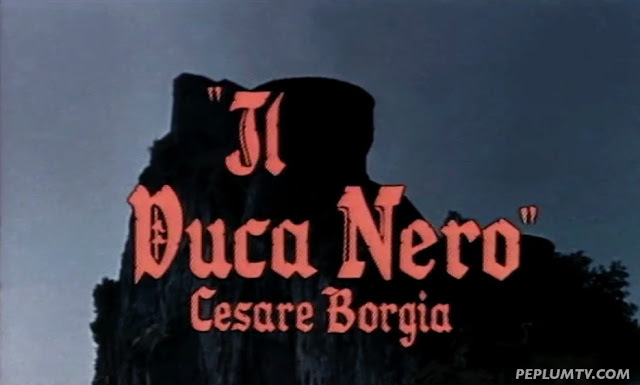 It is worth seeing for Mimmo Palmara and Rosalba Neri alone. Sure, some of the guys interviewed are real idiots (in particular the one who tells a totally fabricated story about Gordon Scott) but the newsreel clips are priceless. Did the Italians document everything? It seems so. Also this film came out many years ago when most of the films represented were not available. It could be a much better documentary but it could be far worse too. Well, yes, of course UOMINI FORTI is not 100% useless but for me, nothing in it was new. I was expecting some new insight into things but 1) I already had seen all the footage and 2) there were just too many goofs and quasi-embarrassing things in it to be enjoyable, that the whole thing was very lazily put together. But my disappointment in it was amplified because I had so much difficulty getting the darn DVD that I didn't think it was worth going through all the trouble. You have mentioned your difficulties in getting both this and The Black Duke? What happened? I remember telling you about The Black Duke being available at Amazon UK. I was able to order it with no trouble at all. I've had my copy of Uomini Forti since 2006 when it first came out but I believe it is now out of print which may be why you had trouble getting it. I bought THE BLACK DUKE (the least expansive one) from a seller in Germany (it is a German DVD) and after almost two months, the DVD never arrived. I had to complain to Amazon Germany, which was a hard thing to do, but I finally found a way and I got my message across. Amazon took charge of the transaction, asked me if I wanted a refund or another DVD at no charge. I told them I just wanted the DVD that I purchased. It took almost two weeks to get that replacement. Two weeks later, I received the original purchase of the BLACK DUKE DVD. It seems that it was lost or something. There was a special sticker code on it, and when I called my postal service, they had no clue what that code was. So I ended up with two DVDs. Same thing happened with UOMINI FORTI, but this time it was a seller through eBay. 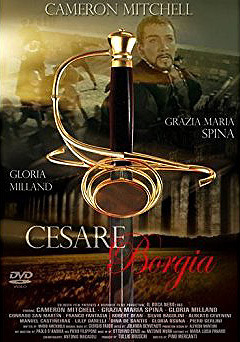 Bought the DVD from a seller in Italy. After more than two months, I never received the DVD. I was about to forget about it but then eBay had the audacity to ask me to rate the DVD. That's when I replied back and told them I never got the DVD and couldn't rate it for them. I got a refund, which was also a pain to do. The seller wasn't happy and actually **traced my address and phone number and called me. ** Once everything was settled and I was looking to buy the doc from another seller, the DVD finally arrived. That was almost two & half months. This is not the only problems I had in purchasing stuff from Europe. I ordered a book, never got it, contacted eBay to complain. Got a refund. Eventually got the book a couple of months later. I contacted eBay and wondered if I could refund the refund but the eBay fellow that I talked to said to forget it, that it would just open a can of worms and to let it go. It's odd because prior to this I purchased DVDs and books through Amazon or eBay from sellers in Europe and never experienced any problems until this year.